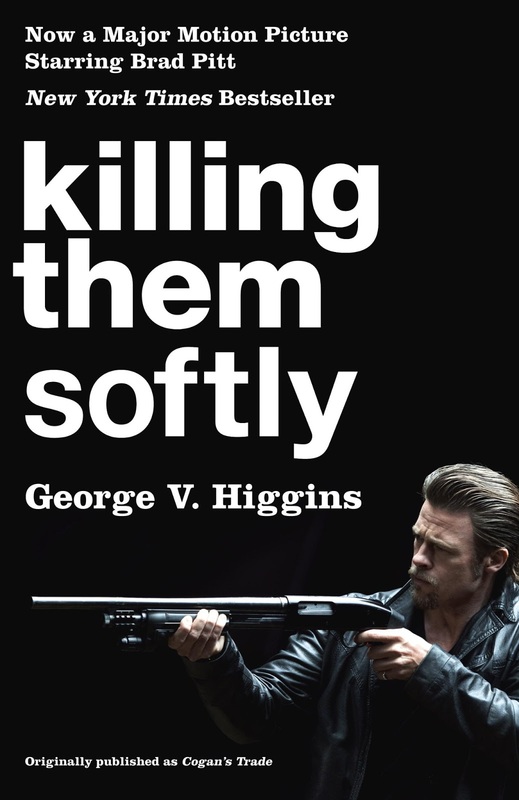 George V. Higgins’s 1974 crime novel Cogan’s Trade breezed through theaters last fall in the form of Killing Them Softly, a cerebral bloodbath starring Brad Pitt as an assassin hired to round up a trio of wannabe gangsters. 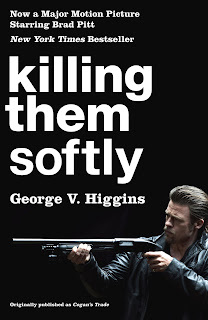 This week’s Blu-ray and DVD release gives Higgins fans another chance to savor Higgins’s dialogue—much of which seems to have [been–in fact was] integrated into the script—and to watch James Gandolfini steal scenes out from under Pitt with an astonishingly understated performance. To which we add that Scoot McNairy’s performance was Oscar-worthy, and several of the scenes were as thrillingly uncomfortable to watch as they were to read. Hollywood procedure cut the movie’s in-theater run short despite a widescreen release last November, and in the face of swooning reviews by Anthony Lane (New Yorker) and Ty Burr (Boston Globe). More critical comment on George V. Higgins here. Foreign rights via the Marsh Agency.